I am from Lima, Perú, but I have also lived in the United States, and stayed for a few months in China. I finished my Civil Engineering Undergrad when I was 20, at Utah State University. I love learning new things every single day. I work for an International Consulting Firm as a Civil Engineer. Manage my own businesses where I can create value to society, create thousands of jobs, be my own boss and most importantly, help people develop their potential. 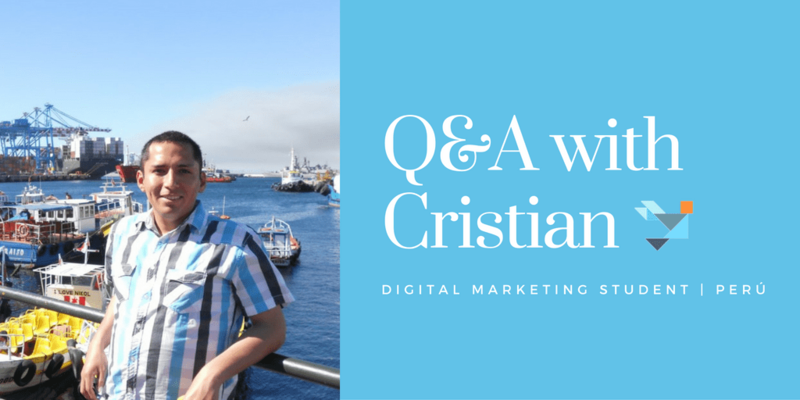 On my free time I have worked on several different Digital Marketing projects in Peru, for businesses, celebrities, politicians and non-government Organizations, just by having empirical knowledge and some self-education. 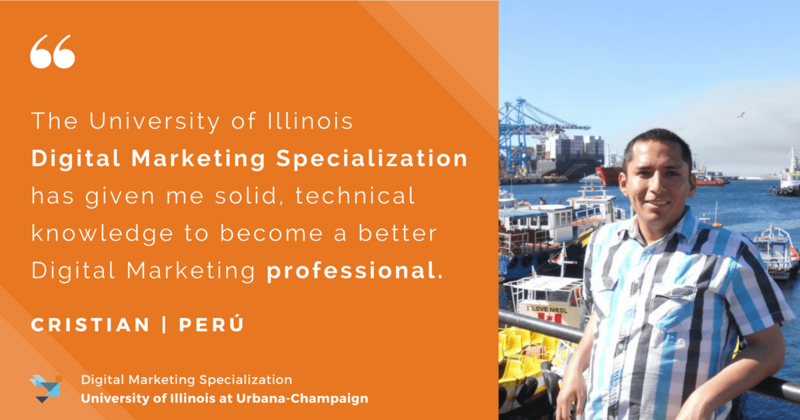 The University of Illinois Digital Marketing Specialization has given me some solid technical knowledge to become a better “Digital Marketing professional”. I learned a lot of interest things throughout the different courses. I especially liked the sections on 3D printing and Augmented Reality, since I didn’t know much about these topics beforehand. Yes. I have helped several people and organizations with Digital Marketing and have applied Digital Marketing concepts in some entrepreneurships that I am working on. I try to study 1 hour per day. Also, I use the mobile application as much as possible in order to take advantage of all the free time I have when I am traveling, waiting for an appointment or just laying on my bed. 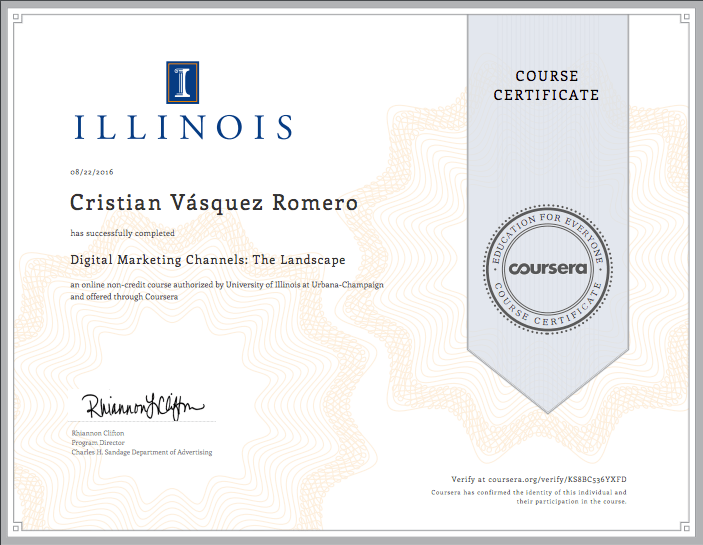 Little by little I have been able to finish several courses on this and other Specializations. This specialization provided some of the best classes I have had in my life, with world-class faculty, and very interesting and useful material regardless of the profession you currently have. Hi Cristian; I like your tip of making study and work mobile as much as possible; so much can be done with a phone while waiting somewhere, as you said! I loved the 3D printing and augmented reality parts too… I have seen a few startups taking these concepts further, locally. Best of luck to you!